The name literally translates into 'White Range' and the panoramic views and snow clad ranges. It rises from the Indian plains to the north of Kangra and Mandi. 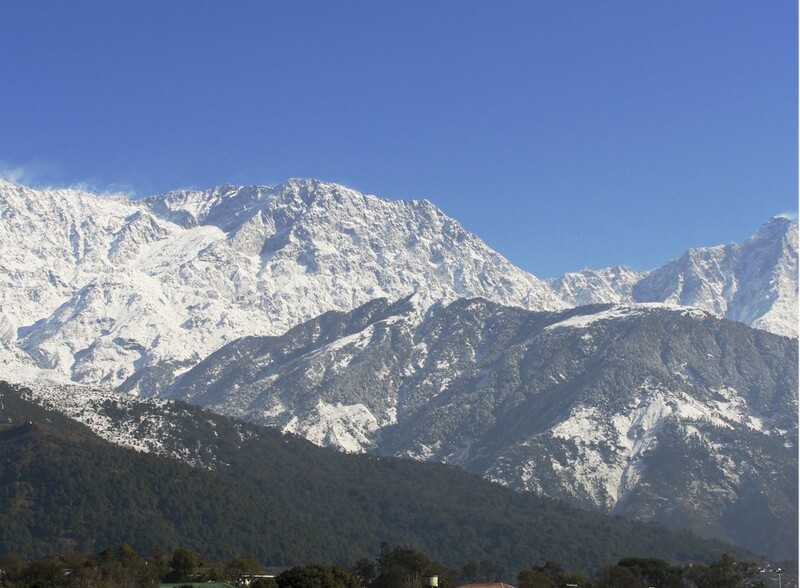 Dharamsala, the headquarters of Kangra district, lies on its southern spur in above the Kangra Valley. The elevation of the Dhauladhars ranges widely from 3,500 m to nearly 6,000 m. From the banks of the Beas river in Kulu, the range curves towards the town of Mandi, Himachal Pradesh, India.